Misconception #1: The type of rounds shot will change the ventilation design. Truth: It does not matter what type of rounds are shot, what type of ammunition is used, or how much shooting occurs in a small arms range. There is a standard ventilation design that works great for all ranges regardless of what ammunition is shot. Misconception #2: Air flow speed in a range can be anywhere between 50 feet per minute and 75 feet per minute at the firing line. Truth: The range should be designed for 75 feet per minute at the firing line or lines. This should result in an air flow that is not below 50 feet per minute at any individual point. 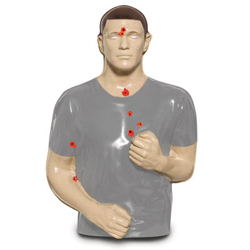 Misconception #3: Air flow tests should be done with people or mannequins in shooting positions. 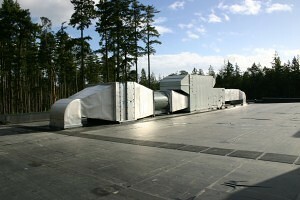 Truth: All air flow testing should be done on an empty range. The testing and commissioning procedure on an empty range has proven to meet Occupational Safety and Health Administration (OSHA) exposure levels. Along with understanding the misconceptions that exist about range ventilation, it is important to understand the various purposes behind ventilation and why ventilation is so critical to a shooting range’s long-term success. The first and primary purpose of ventilation is to remove contaminants created during the firing of a weapon from the respiratory zones of those occupying the range. Exploding primers containing lead styphnate and friction from the lead slug against the gun barrel create airborne lead. Carbon monoxide and other contaminants are also created during the firing of a weapon. The ventilation system removes all of these harmful particles. The second and equally important reason for a properly designed and installed ventilation system is to keep the range at a negative pressure to the surrounding building space. Contaminants need to be contained in the range space. This will prevent the ingestion of these harmful particles, and also keep the non-range spaces and surfaces of the building free of contamination. 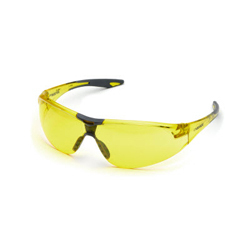 This in turn will ensure the health and safety of all customers and employees. The final purpose of the ventilation system is to remove the smoke from the range so visibility is high and the targets can be seen. Many range owners are aware of the purposes of a ventilation system but may have questions when it comes to the system types and designs. The suggested air flow for a small arms range is an average of 75 feet per minute at the firing line. This air flow must be even from floor to ceiling (known as laminar flow) and have minimal turbulence. There have been two general approaches to the distribution of air that have been used within the industry. The first is a plenum wall. Although this approach can work and some have successfully tested to provide laminar flow, the plenum wall has also been prone to problems. The main issue is when the access door to the range and the window from the range safety office have been installed they tend to create turbulent areas. 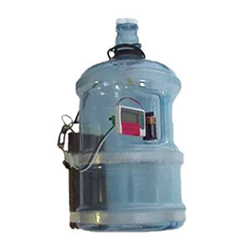 This can disrupt the laminar flow, which can prevent the contaminants from being properly contained. There have also been problems where the range officer standing in one position has caused a lane to fail the exposure test. The second method that has proven successful is the radial diffuser. This method disperses air into the range in a 180 degree radial pattern. These diffusers are custom built and tested to provide proper air flow at the firing line. It is critical to only use proven products that have been tested to achieve the laminar or even air flow at the firing line. This will ensure the safety of range employees and customers and also keep the range compliant with health and safety regulations. When deciding on the design of the ventilation system, negative air pressure is also important. Providing negative pressure in the range is accomplished by designing more exhaust than supply air. Creating laminar air flow at the firing line will protect a shooter’s respiratory zone, but it will not keep contaminants created in the range from entering other areas of the building. The industry standard for this design is 10% greater exhaust than supply. The tighter the range area of the building is constructed, the less differential is necessary to maintain the proper pressure differential. Some ranges have been designed with the 10% differential, but the exhaust is filtered and there was no method of modulation for the exhaust based on filter loading. This caused the range to go positive within a week of a filter change. It is very important to oversize the exhaust fan and use a variable frequency drive or an inlet vein vortex damper to regulate the fan. This will control the amount of exhaust that is filtered and keep the air at a negative pressure differential. The most critical component to keeping the range negative is a control system that can start up, stop, and maintain a negative pressure in the range at all times. The control system must also monitor the range conditions as well as sound an alarm and shut down if unsafe conditions are present. 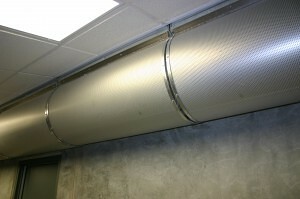 Price may be another factor in considering a ventilation system as they can be expensive. A range owner might think about just using a local heating, ventilation, and air conditioning (HVAC) contractor to install the system. Unfortunately, most local HVAC contractors do not have the required experience with shooting ranges to make everything work properly, and standard HVAC equipment by itself is not sufficient for the task. 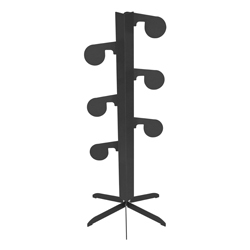 There are specialized custom components that must be manufactured and installed to exacting standards. Experts in the industry handcraft these custom parts on a per-job basis to meet the specific needs of each individual range. If the system is too difficult for the range staff to use, chances are the staff won’t use it, or it won’t be used properly. The top names in the industry have made usability a priority to ensure each ventilation system is easy for the end-user to understand and operate. For example, Action Target’s ventilation features a single control switch that activates the entire ventilation system and indicator lights that turn on when the system is ready for use. A convenient digital interface screen displays the status of the ventilation system at all times and displays any errors, alarms, or unsafe conditions that might arise. If something happens, Action Target can dial in to the ventilation system via a built-in modem to diagnose and make adjustments remotely. Proper shooting range ventilation is essential. There are hazards and pitfalls that can be avoided only by companies with sufficient expertise and experience, so make sure to choose a team that can do the job right. The effects of poor ventilation in a shooting range are a serious matter, and potentially hazardous to the health of both range employees and customers. Lead poisoning in adults and children can cause digestive problems, high blood pressure, hearing problems, memory and concentration problems, and a host of other health issues. These hazards can be avoided if the range is ventilated properly. Without fail, an indoor range ventilation system must provide and maintain clean air for everyone in it. 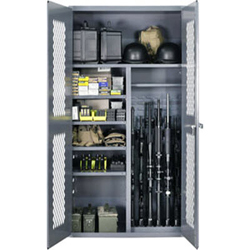 With a properly installed and functioning ventilation system, range owners can operate their range worry-free, assured the system is keeping the range, employees, and customers contaminant free and healthy. There are hundreds of things to take into consideration when building a shooting range, but your top priority should always be safety. Before anything else, make sure your range is going to be safe for your customers, your employees, and the environment. If you are considering building a range, talk to the Action Target representative in your region and he will be happy to help you find the right equipment to fit your needs and budget. You can also use our Request a Quote form to get started on your range project today. Please note, the tips included in this message have been found to be helpful for many clients throughout the years but may not apply in all situations. Please use judgment in determining which tips will be helpful in your particular situation. I got lead poisoning from shooting in indoor range 35 years ago.My blood level # was something like 77.I stopped for about 6 months and it went down drastically.Shot outdoors mainly after.Low and behold I moved and 35 years later started shooting indoors again and levels reache 66.I had to wash down whole house and use tons of lead wipes etc etc.etc. There is tons of info on this stuff.Just will never shoot in indoor range again.I haven’t shot indoors in 2 years and miss it greatly but you can see lead dust all over floors etc.Sorry but thats the way it is.Think what is recovered as gunshot residue.Many forums will disagree and blame it on tumbing media. Shooting indoors can definitely be hazardous if the range is not equipped well to handle lead dust. Every indoor range needs a ventilation system that pushes the air away from the shooters and then filters it downrange. There must also be a system in place to contain and collect lead dust at the bullet trap if a steel funnel trap is in use. Indoor ranges can be made to be extremely safe, but it requires the right equipment and expertise.